Uncomfortable Words. An unusual title indeed. But in my never ending quest for truth, I thought it necessary to investigate various words that make us (men) uncomfortable. Words that make us cringe when we hear them or use them. Better yet, words that when put to practice, challenge us to our very core. The concept of intimacy is completely contradictory to the “Macho Man” persona perpetuated by our culture. In fact, the only intimacy that is even mentioned in our culture is sexual intimacy. But relational and physical intimacy at any other level are rarely (if ever) discussed by men. Truth- God wishes to have an intimate relationship with us. John describes himself as the “Disciple whom Jesus loved”. Described as a man after “God’s own heart”. Truth- Gentleness is a component of the Fruit of the Spirit. Personal Note- I think of Gentleness as power under control. Think Gentle Giant. Think of a father holding a child. Think of a Lion carrying its cubs. But we have to think of this on a deeper level. Think deeper than physical power. Think about our words. Consider the power a father holds over his children. He has the power to build up or tear down his children with just his words. Just think, the Creator of the universe and everything in it, could still place His hands on children in a gentle manner. 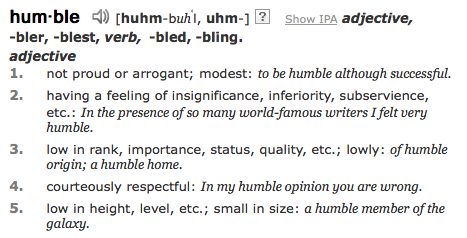 Lets face it men, humility is not our default setting. Truth- Humility is a Godly trait and is absolutely necessary for a growing relationship with God (or anyone else for that matter). Submission is a word that is often directed at women in a negative way. Critics of Christianity use this as their basis for saying the Bible is a male dominated religion that denigrates women. Truth- Submission is for both men and women. This list is not exhaustive, but it is a good start. We must seek truth and view everything through the lens of Scripture. No, this is not some doomsday prophecy. I am referring to the end of my time as a college student. I am now one of the “Old” College guys. A seasoned veteran well trained in the art of navigating Gainesville, UF, and ISIS (UF Students know what I’m talking about). College has been an adventure. I came to UF and was uncertain about if I made the right choice, but God showed me very early on that I was in the right place. I have vivid memories of walking around campus during my first semester here (Summer B) and thinking to myself “This is where I am supposed to be”. God gave me peace about my decision.Everything from then on was a whirlwind. Moving out with Justin and Kyle. Watching UF during some of their glory years. Watching Tim Tebow and Percy Harvin. Late night trips to Whataburger. Bible study lead by Asa and J.C.
and now finally Graduation and Commissioning. College is so much more than an academic education. I would argue that the real education is outside of the classroom. Learning how to live and function away from home. Actually growing into an “Adult”. I’ve learned so much during my time here, it is hard to even put it into words. When I reflect on the lessons that I’ve learned, three lessons come to forefront. We see here, as Jesus addresses the church of Laodicia, that a lukewarm faith is not acceptable. I would describe my faith as lukewarm for parts of my time in college. Going through the motions so to speak. Needless to say, the impact of a lukewarm faith is not positive. I feel like I wasted so much time. This is one of the disappointments of my time in college, but I am thankful that I learned this lesson so I can guard against a lukewarm faith in the future. The final lesson seems to be a no brainer, but it really isnt. I dont think we truly grasp how valuable time is. How precious the moments with friends and family are. Etc. In my case, it took the loss of my mom to drive this point home. Fortunately, I was prepared for her death. But that isnt always the case. The departure of close friends, the end of a chapter in my life.. There is no preparing for that. The only thing we can do is be intentional every day about making memories and realize the value of time. Today I am going to take a look at a concept that I believe is neglected by my generation. As a young adult, I am sharing from experience and observation. The concept I am discussing is guarding your heart. My generation excels at many things, but guarding our heart is not one of them. This verse is well known, but how much do we practice it? Do we actively guard our heart? Do we believe it is in fact the wellspring of life? Do we even know how to guard our heart? The answer for my generation is an emphatic “NO”. I’ve experienced the consequences of an unguarded heart. I’ve observed the damage done to close friends due to unguarded hearts. It is not a pretty sight. Christians and Non-Christians struggle with this concept. With that being said, I want to examine the condition of an unguarded heart. An unguarded heart is just that, not guarded. Easily harmed. Boy meets girl and there is a “spark”. Commonly called chemistry. A short amount of time passes and the boy and girl are communicating openly about everything. More time passes and the two individuals begin to date. By this time, serious connections are being made. Then, the breaking point is reached. The spark fades and the relationship ends. Regardless of who ended the relationship, both hearts are wounded. The depth of the wound will have a direct connection to the depth of their connection. Both individuals move on, but in most cases they carry the wound for a long time, and also into their next relationship. 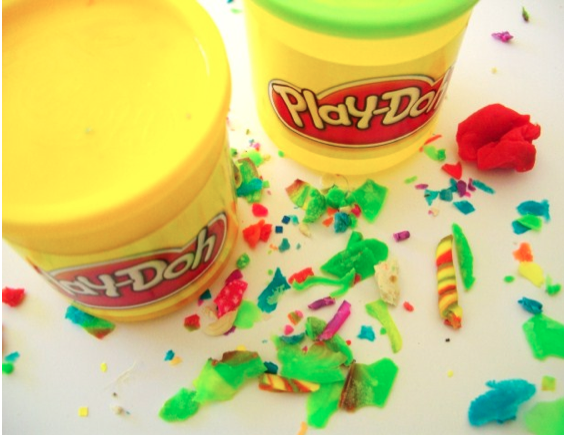 Imagine taking two whole pieces of Play Doh and sticking them together, and after a time, ripping them apart. Now, imagine doing that over and over again. What happens? Well, our once pure piece of Play Doh is now littered with several other pieces of Play Doh and pieces of it are missing. This is how my generation does relationships. We attach our heart over and over again just to get it tainted over time by failed relationships. Back to the question: Why do we leave our heart unguarded? The Bible is true, yes, we believe that. But do we believe that it is sufficient? We must be absolutely convicted that the Bible is sufficient. All of the truth that we need is found in the Bible. Because if we do not believe the Bible is sufficient, then we will find “truth” in the world. Find truth in the Word, not the world. The answer is simple: Allow Christ to guard your heart. If your heart is wounded, allow Him to restore it. Make His Word the manual by which you live your life. Believe what the Bible says- Your heart is valuable, guard it ABOVE ALL ELSE.